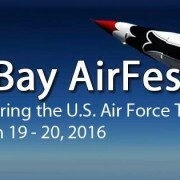 IT’S OFFICIAL – MACDILL AIR FORCE BASE AIRFEST WILL BE HELD MARCH 19-20, 2016!! The committee will be reconvening this month to continue work on the 2016 AirFest! Let’s make the 2016 AirFest another memorable and remarkable event. We are looking for community contributors as well as committee members to assist with other logistics (including signage/printing, media promotion, Community Pavilion, etc). If you are interested in being a contributor or interested in participating on the committee, please contact me. The 5th Annual Chief’s Group Charitable Golf Tournament will be held on Friday, April 1, 2016 at the MacDill AFB Golf Course. The Chief’s Group is comprised of the top Senior Non-Commissioned Officers, who play an integral part of daily operations at MacDill AFB and assists all the troops at MacDill by providing annual support and donations to programs such as Airman Leadership School, First Term Airman’s Course and Community College of the Air Force graduations and ceremonies, just to name a few. The Chief’s Group is not Government funded, it is a non-profit tax exempt organization that raises funds each year through fundraisers and membership dues in order to maintain their status. The Chief’s Group is looking for sponsorships, contributions and prizes for the tournament. For more information, contact Ms. Teresa Foss at (813) 503-9889 or visit the website at www.macdillchiefsgroup.org. You can see the sponsorships available on our website as well. The President has indicated he will submit his Fiscal Year 2017 budget request to the Congress on February 9th. This will kick off an aggressive timeline for the Congress to complete consideration of as many appropriations bills as possible prior to mid-July when the House and Senate will adjourn for the two political nomination conventions and the subsequent August Recess. That or presidential politics takes root in the Senate and the process has to be abandoned until after the election in November. The first major hurdle will be consideration of a Budget Resolution by both the House and Senate. House Budget Committee Chairman Tom Price said last week that his committee would write a Fiscal Year 2017 budget resolution to the funding levels that were agreed to late last year. The House Budget Committee wants to vote on the budget resolution by February 25 and bring it to the floor by early March. If successful, those target dates will push the schedule for House consideration of appropriations bills forward and enable House passage of a good number of the bills earlier than ever. The big variable in all this remains the Senate where all sorts of political mischief can be had during consideration of a budget resolution because of that chamber’s rules which allow unlimited consideration of amendments on nearly any subject. Regardless of what happens in the Senate with the budget resolution, the House will begin sending over appropriations bills for consideration in early summer. The Senate may be able to get through a few of them, but it is only a matter of time before Presidential politics takes over and the whole process grinds to a halt.